10 Ways for Lawyers to Find Their "Inner Steve Jobs"
Clearly we can't claim this Tops as our own, especially to those of you who follow the ABA periodicals. We found this list to be interesting, not only for lawyers, but professionals in many fields. The highlights were worth sharing. We all know the critical place Steve Jobs has in technological history, and American history in general. Here's to an American hero and true testament to hard work. 2) Innovation is not a theory. It takes execution. Most of the compelling innovation Jobs brought to market took longer than expected and encountered multiple setbacks along the way. Anything innovative requires persistence, experimentation, course correction, and yes, tolerance for failure. Innovation requires character on the part of the innovator and leadership on the part of the organization to support that persistence. 3) Great profits follow great products and services. Although Apple is now the most valuable company in the world, Jobs said he always focused on the products, and assumed the revenues and profits would follow. 4) A unified vision is better than a committee. 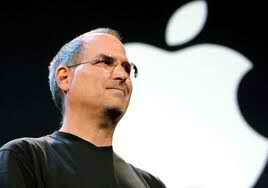 Jobs’ other great strength was his willingness to drive his vision and insist that everyone around him adhere to it. He was occasionally wrong, and frequently obnoxious, but a remarkable percentage of the time he was right. He didn’t seek permission from others, hire consultants or try to drive consensus, so his decision-making was usually quick and generally had accountability. A unified vision also allowed Jobs to manage risk effectively because he understood what was at stake and how to improve his chances. So when he said choosing touchscreen technology over the stylus was “bet the company,” it wasn’t a euphemism to mean he was insensitive to cost, it was an accurate description of the consequences of his choice and a call to arms for his team to deliver. 5) It pays to be fully invested in your job. One thing you couldn’t question about Steve Jobs was his commitment to his company and his role. He was “all-in.” That level of commitment had lots of downside for Apple employees and his family, but overall made him much more effective at his job and allowed him to fully realize his potential. Many lawyers, particularly some young lawyers, view their job as a way station to something else. It shows, and limits what they or their clients will ever get out of the experience. 6) The point of corporate governance is to drive stockholder value; it’s not an end in itself. There is no doubt that Jobs’ behavior around the option dating when he brought new executives into Apple in 1997 after the NeXT acquisition was problematic. He generally didn’t want a board that would challenge him. (Although he did apparently use the board in the most useful way—to kick around ideas and strategies that he was considering.) Yet despite what folks claim, there’s little evidence that more corporate governance means better run companies, and the most successful companies of the last decade—Apple and Google—don’t follow many corporate governance norms. Given a choice between an activist board and a successful stock, it’s pretty clear what investors will choose. 7) Simplicity is better. There’s a great story I remember from the time about the negotiations between NeXT and IBM about IBM’s licensing NeXT’s operating system (a redolent situation for Jobs because of the history between Microsoft, IBM and Apple). After NeXT received a 100-plus-page contract from IBM, Jobs slammed it on the table and said: “Come back with a two-to-three-page contract … you don’t get it.” Jobs was always trying to simplify products by reducing features, simplify the company by eliminating products, and simplify the user’s experience. 8) The boundary between disciplines is where the richness is. Although Jobs had no training as an engineer; his ability to operate at the boundary of the humanities and technology was his great strength. Lawyers have traditionally operated at the boundary of law and clients’ areas of interest; the best ones don’t refer to “widgets,” but develop a deep understanding about a client's world that allows them to operate in that cross-disciplinary space. 9) It’s hard to get organizations or people to work together. Jobs eschewed organizational or functional divisions. That means he kept a lot of power in his hands, and could certainly be imperious. But it also meant he circumvented the widely chronicled “innovator's dilemma” that hamstrings most large organizations and prevents them from effectively using their scale or responding to change. Sony, once among Jobs’ most admired companies, bought CBS Records so they could link consumer devices and music, but Apple did a better job getting music in their system than Sony did. When Jobs was sick with cancer, he had to summon all the different specialists from Stanford to his house to insist on a coordinated course of treatment because they were each optimizing for their discrete part of the problem, but none were looking at the patient as a whole. Thanks Steve. We're better because of you. R.I.P.